…And that’s a wrap! Another London Fashion Week drew to a close last night, with Victoria Beckham having the final say with a huge fashion party at her London store. A year to the day from its grand opening, celebrities and press were invited to the designer’s Dover Street emporium which had been transformed into a giant balloon ball pit – making for some of the best selfies we’ve seen all LFW. Naomi Campbell, Ellie Goulding and, of course, Brooklyn and David Beckham, were all there to support, sipping on cocktails mixed with David’s Haig Club whisky (there was one called ‘The Victoria’, naturally, mixed with lemon, sherry and red current syrup). Earlier in the day, Victoria dropped a surprise preview of her diffusion line’s SS16 collection. 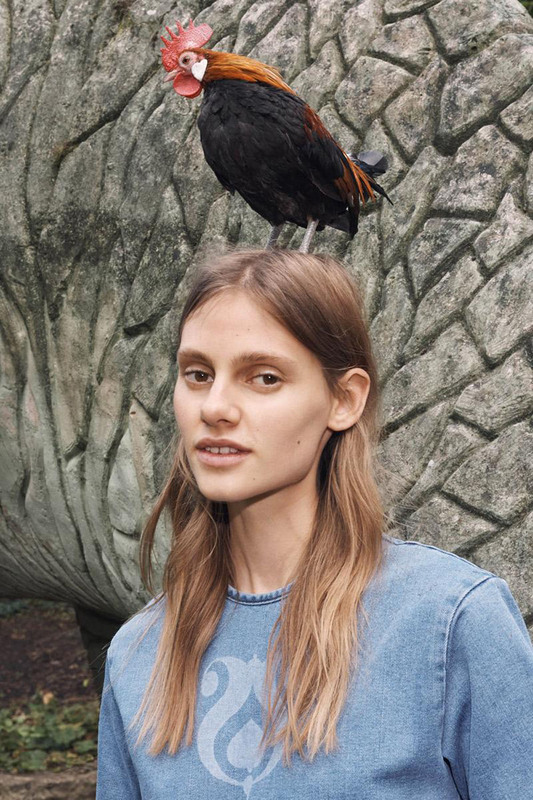 The Victoria Victoria Beckham lookbook, just like last season, was quirky and conceptual, as models posed in Crystal Palace Park with a chicken (called Bertie, of course) either in their arms or on their heads. See all the images in the gallery above. The clothes themselves borrowed exotic motifs from the Beckham family’s trip to Marrakech earlier in the year, celebrating David’s 40th with yet another huge party in the sun. From scallop hem minidresses to placement print capes, the line was one of the biggest yet from the designer, highlighting the enormous success and growth her label has achieved in the last year. We think, if they aspire to be anything at all like the designer herself, women are bound to have a good time in these clothes.